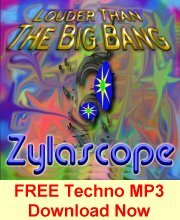 Louder Than The Big Bang – Electronic music by Zylascope. 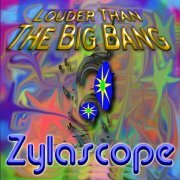 Louder Than The Big Bang is my first techno/trance experimental electronic music album. It was recorded over a period of years from 1991 to 2002. It contains pumping electro-instrumentals and experimental trance rock, with danceable grooves to mysterious music for headphones. It was recorded in the era before we had superior digital recording studios on cheap home computers. Back in those days I had an Amiga 500 computer which did 4 channel 8 bit low rate sample recording and midi sequencing. 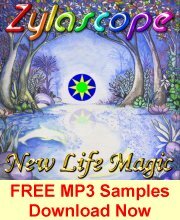 The sequencing software I used was mainly Bars & Pipes, and some sample editing software. I used a Yamaha YS-100 Synth and a Roland Dr Synth sound module. I had an Audio Technica microphone and a Yamaha RGX electric guitar with a few effects pedals. It was all recorded on a Yamaha MT3X 4 track cassette recorder. That was a fairly unique way to record music in those days. Most people were recording with instruments played by human band members onto multitrack reel to reel recorders like 24 track machines in studios. But that was very expensive and out of the question for us. Pete and I applied to study music at the Southern Cross University in the early 90’s and were fortunate to be accepted. We wanted to get experience with using real 24 track studio equipment to record our songs. It was hard to get a decent amount of studio time as the studios at Southern Cross University were always over booked 24 hours a day and the reel to reel tape, although discounted for students, was still very expensive. Only one song on this album was recorded there! The rest of this album was done using my Amiga and Yamaha 4 track. If you are interested in that grainy 8 bit digital retro electronic synthesis sound you will love this album. You can hear free previews of all our songs in our music store.